My new business book designed to show workers how to become business owners to secure their own economic futures has been accepted for exhibition at the Frankfurter Bushmesse in Germany and the International Book Fair in Miami. The Frankfurt Book Fair is the world’s largest such event for publishers and last year attracted 278,000 visitors and 7,000 exhibitors from all over the world. The Frankfurt fair takes place in six multistory buildings arranged around a central square with each building and floor dedicated to a different function. For example, English language publishers are in Building 6. The first three floors have exhibits from publishers from Australia, Canada, India, Ireland, Israel, New Zealand, South Africa, United Kingdom and the U.S. while the fourth floor is for literary agents and scouts. Building 5 is dedicated to publishers in other European languages with France and Spain being most heavily represented. Not unexpectedly, German publishers, distributors and authors outnumber those from other countries and are most heavily represented in Buildings 3 and 4. The first three days of the show, October 10-12 are reserved for members of the trade, but the show is open to the public the last two days of the event. Cultural and culinary activities are not neglected at the fair. There is a temporary building, the Reading Marquee, in the central square or Agora where authors give readings of their works, a section dedicated to rare books and fine arts in Building 4 and other spaces dedicated to lectures and workshops. Many of these events are available free to participants, although some require advanced registrations. Food samplings are available at the Gourmet Gallery in Building 4 as well as at Business Club Europa where working lunches can be arranged. Coincidentally, the October 10-14 dates for the event correspond with Oktoberfest celebrations that occur all over Germany. 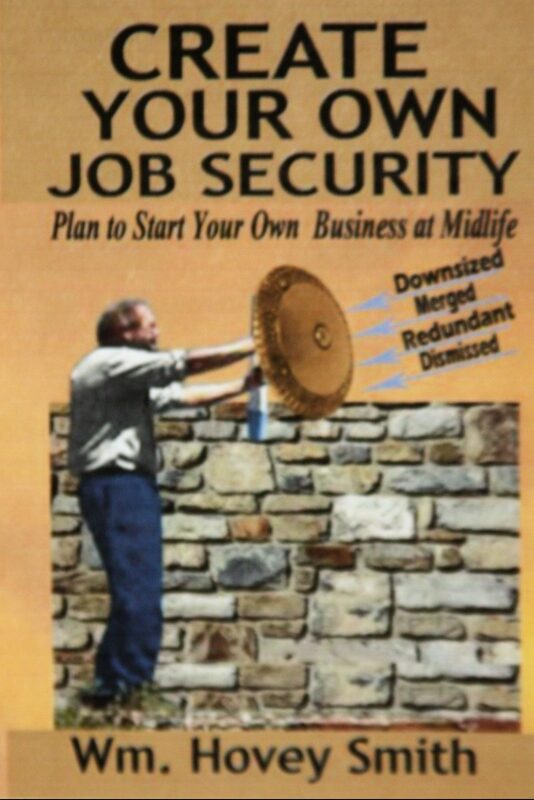 My book Create Your Own Job Security: Plan to Start Your Own Business at Midlife will be shown by Stonewall Press in Hall 6 at Stand D 126. The purpose of showing my published book is to help sell print and foreign language rights to conventional publishers. This is not an unusual arrangement for an author who has self-published a book and desires to reach a world-wide audience for his work. I have already contacted 10 U.K. publishers to set up meetings about my book at the event. Such advanced notice enables both parties to do a bit of advance planning to find out about interesting titles that are at the fair and prepare a bid for whatever rights they might wish to publish. Although based in the U.K., some publishing houses specialize in translating non-fiction books into other languages. While based on the same text, each translation is a different book with a unique ISBN and requires a different publisher-author contract. If you are a publisher who is potentially interested in the book you may contact me using the form below. Ultimately, I would hope to publish editions in French, Spanish, Chinese and Japanese. A secondary purpose at the Frankfurt Book Fair is to show my other books which include one of children’s stories and my outdoor titles like X-Treme Muzzleloading and Backyard Deer Hunting: Converting Deer to Dinner for Pennies per Pound. As is obvious, I will have more than enough to do at the Frankfurt Fair. Should you go? I would advise that if you have a book that is already written, whether it is self-published or not, to present to potential publishers that has the potential to impact a number of lives, it might be worth the $3,000 that it would take to participate in the event. That figure includes making a contract for a company to display your book, transportation costs, room, etc., and maybe even an occasional beer – although you will not have much time for that. The less well-known you are, the more restrictive your title audience is and the less you have written, the fewer your chances are of making a significant return on your investment. To an agent or buyer, everyone in the world has a book. If you do not have your’s yet in some sort of form, that puts you way behind on the list, unless you are already a best-selling author in some category. In contrast to the multi-dimensional aspects of the Frankfurter Buchmesse the International Book Fair in Miami is more like a combined yard sale and street fair. Although large, with some 100,000 visitors, this outdoor event is held on a portion of the Dade College Campus in downtown Miami two blocks off Biscayne Bay Blvd. Venders are set up in tents on either side of 2nd Avenue on November 16-18 as part of a week-long event sponsored by the College. The purpose of this fair is to introduce new books to the general public, provide libraries and other volume buyers of books a chance to look at, handle and discuss new products, and significantly, for authors to promote their works. There is a reading stage where authors present their works, but this space is generally arranged a year in advance and often restricted to best-selling authors. This fair is generally noted for its selection of fiction, and particularly children’s fiction, but publishers bring all categories of titles to the event. This is a show-and-tell platform, rather than a place to sell individual books. Book orders may be placed on the spot or titles immediately ordered from Amazon and other on-line sources. The one exception is that signed copies may be available from some attending authors at signing events, although it is more common for well-known authors to sign previously purchased copies. Fact is, all of us authors are “interesting.” How do you stand out? I sometimes wear my cooking smock and toup, as I did in China, and this certainly attracted attention from the remainder of the suite-wearing audience. At a 4th of July event in Sidney, Nebraska, I wore overalls, a straw hat and carried a blunderbuss, before I did my gig on stage. Within reason, be distinctive. Many of the booths will be maned by those representing publishing houses. If you are a writer or would-be writer and are relatively local, dropping by such an event can show you what other writers are publishing, what their books look like, who did them and what publishing house might be interested in your title. Nothing is likely to happen at the event except you would be referred to an on-line site to look at their manuscript submission guidelines. Some may even have a few forms with them, but as they want to keep an already large volume of “stuff” that they must put up and take down each day to a minimum very little in the way of editorial-submission forms will have been brought to the Fair. Editors may or may not attend, and if they do it might be only for a single day. Usually sales fairs are handled by marketing and sales, rather than from the editorial side of the business. If you attend prepare to collect some business cards and meticulously record anything said about when and how to submit your materials. Don’t wait until you have 20 or so and have to think, “What did I promise to whom.” This is also a place to give out cards to potential buyers for your book, or better yet, have a copy for them to photograph with their smart phones. Next If I Don’t Read Books, Can I Write One?